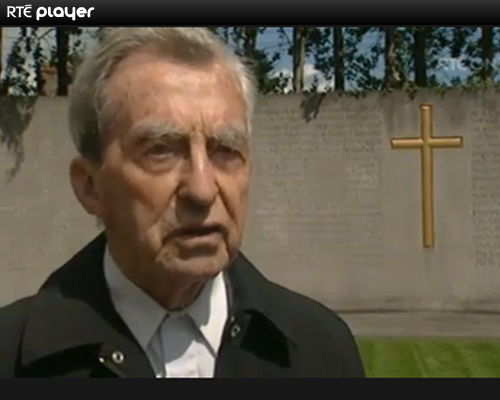 Fr Joseph Mallin is the last surviving child of executed 1916 leader. Fr Joseph Mallin, SJ. Photo courtesy of RTE. Ireland’s oldest priest celebrated his 100th birthday in Hong Kong on Saturday. Fr Joseph Mallin is a Jesuit and the last surviving child of the executed 1916 leader, Commdt Michael Mallin, who was executed for his role in the Easter Rising. Since 1948, Fr Mallin’s home has been Hong Kong, where he taught at a Jesuit school. Fr Mallin, who was born in 1914, was one of five children of the Chief of Staff of the Irish Citizen Army and commander of the St Stephen’s Green garrison during the Rising. His older brother Seán became a Jesuit priest, while his sister Úna became a Loreto nun, fulfilling a dying wish of his father’s – that his son Joseph become a priest and his daughter Úna a nun. He was just two when his father was executed on 8 May 1916 in Kilmainham jail. The Irish Citizen Army was founded by a group of trade union and Labour Party leaders including James Connolly, Jack White and Sean O’Casey, as a defence force for the workers during the 1913 lockout. In an interview with the Irish Times published on Saturday to mark his momentous birthday, the Jesuit priest said his elder brother Seán had directed him to the Jesuits. The group travelled by rail 120km north to Canton, now Guangzhou. On their way up they passed a recently wrecked train – bombed in China’s ferment as Mao Tse-tung’s communists fought for control. But by May 1949, they were forced to flee back to Hong Kong, where Fr Mallin remained, apart from a few years teaching in Macau.